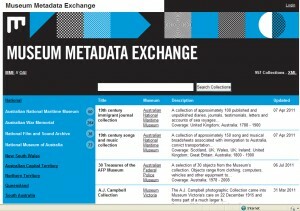 The landmark Museum Metadata Exchange (MME) digital program has made over 1,000 museum collection descriptions accessible to online researchers for the first time. 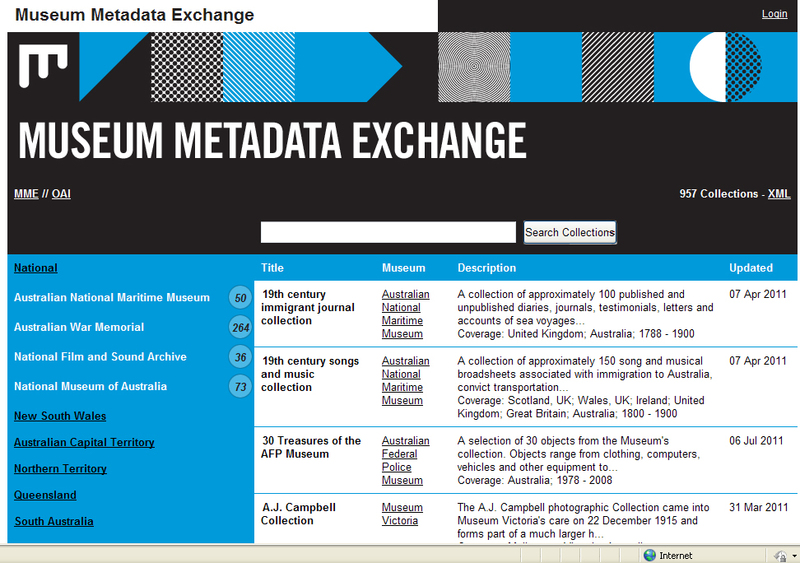 This catalogue of collections can be explored via the dedicated MME website (see http://museumex.org/) and through searches on Research Data Australia (see http://services.ands.org.au/home/orca/rda/). The MME project is a collaboration between the Council of Australasian Museum Directors (CAMD) and Museums Australia (MA). It has been set up with the support of the Australian National Data Service (ANDS). ANDS is supported by the Australian Government through the National Collaborative Research Infrastructure Strategy Program and the Education Investment Fund (EIF) Super Science Initiative. The project is being hosted by the Powerhouse Museum.